Experience the freedom of the open road at your own pace with our selection of motorhome holidays, giving you the opportunity to explore a range of fascinating destinations in whichever way suits you. A truly liberating way to travel, these luxury homes are becoming an increasingly popular way to see the many wonders of Australia. Spacious, comfortable and fully equipped with all that you’ll need for a relaxed stay; we offer a great selection of RVs to suit the type of holiday you want. Motorhome holidays are fun and memorable, offering you the chance to see Australia your way. With a range of innovative and comfortable vehicles to choose from, this style of travelling is perfect for those who want to see the sights without having to miss out on home comforts along the way. Check out our selection of motorhome holidays and call us to plan your perfect Australia self-drive holiday. If you want to see Australia at leisure, a motorhome could be the perfect solution. Ideal for family holidays, these RVs ensure the best quality and a truly unique experience. Your journey is whatever you want it to be – motorhome holidays allow you the freedom to travel whenever and wherever you want to for the ultimate Australian self-drive experience. 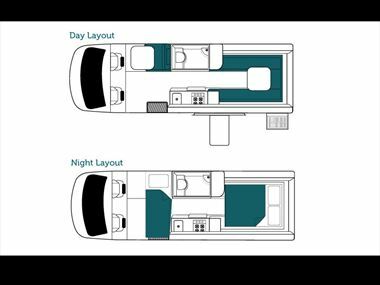 Australian Sky provides a fantastic range of motorhomes to choose from, from the compact yet comfortable vehicles sleeping up to three people to the six-berth homes with plenty of space for larger families or groups, so you can tailor your accommodation to suit your needs. And the home comforts, from a kitchen and entertainment system to comfortable bedding, are all included for a relaxed and stress-free stay. 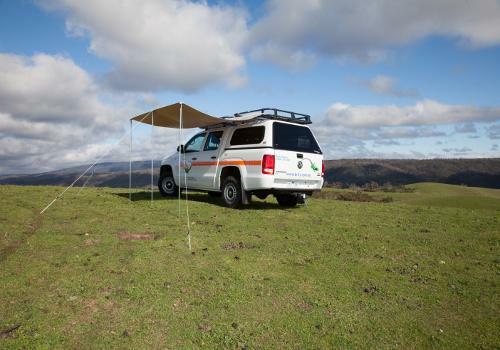 A five-berth4WD campervan, the Safari provides a slide-out kitchen, large tent and awning,camping stools, roof rack and portable solar handheld shower for the perfect camping trip. 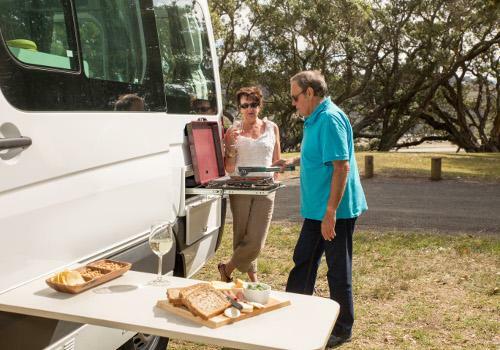 Australian Sky offers a great selection of premium motorhomes which provide a freeing form of travel with a sophisticated take on camping in Australia. Each of these homes is spacious, fully-equipped and has an innovative design to provide the utmost in comfort. 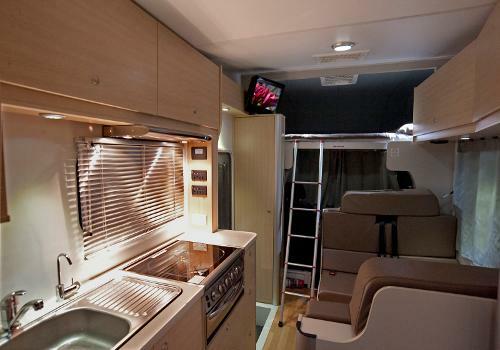 From wooden floors to large living areas and BBQ facilities, everything has been considered to provide you with a home-from-home feel while you’re on the road. 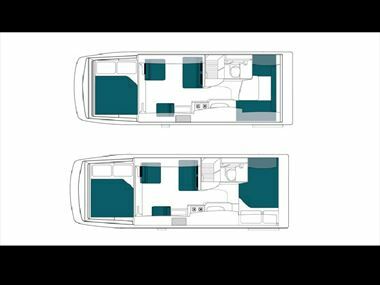 From the Ultima RV which sleeps up to two people, to the Platinum Beach (sleeping up to four) and the high quality Platinum River which sleeps up to six people, each of these homes has been expertly designed to provide complete comfort and quality. All of these homes provide plush sleeping facilities, spacious living areas, and kitchens with plenty of storage. And if you want to really make the most of your apartment on wheels, you can enjoy mobile Wi-Fi as well to enable you to keep in contact with loved ones back home while you're on the road. 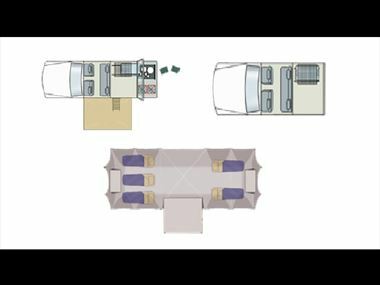 The smallest of these homes, this campervan sleeps up to two people and features a king-size or twin beds, spacious living area, kitchen facilities, solar panel, storage and an exterior slide-out BBQ. 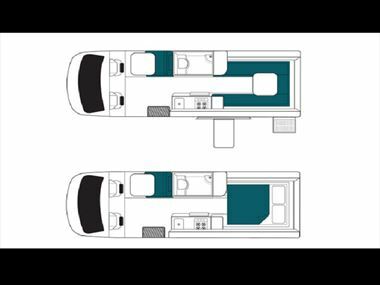 Perfect for smaller families, this campervan sleeps up to three people - the third passenger is seated directly behind the driver,so children can be kept close by on long journeys. These homes feature an exterior BBQ, DVD facilities, and multiple bed and living area set-ups. 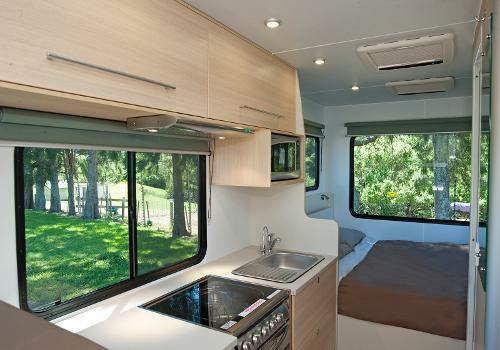 A four-berth motorhome, this campervan features an apartment-style kitchen, exterior awning, king-size rear bed, solar panel and DVD player with LCD screen. 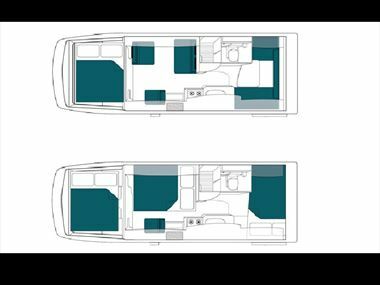 Designed with luxury in mind, this six-berth campervan provides you with china crockery and a spacious fridge in the kitchen, larger living area, leather upholstery and an exterior awning. Your rental days are calculated on a calendar day basis – the day of pick-up is counted as day one, whilst the day of returning your vehicle is counted as the final day. There is a minimum rental period of five days, though all rentals between late December and early January have a minimum of 10 days. If travelling in Melbourne over the Moto GP period, you will need to travel for a minimum of seven days. Your vehicle must be returned with a tank full of petrol and in clean condition. When renting with Maui, you will receive a complimentary travel wallet. This wallet features a free road map featuring Australia’s leading attractions, a ‘What to See and Do’ guide, and a hotel/campground guide. You’ll be provided with apartment-styled kitchen equipment, including saucepans and crockery, as well as quality bedding and linen, and a complimentary valet service. One-way rentals are available between all branch locations. You’ll have a variety of insurance options to choose from to help make your adventure stress-free and enjoyable. You’ll need to bring a copy of your travel insurance with you, as well as an international driver’s licence which should be produced upon vehicle collection. The deposit amount is determined by the Liability Reduction Option chosen, or AU$7,500 if you don’t choose any of the options. All deposits are charged to debit card and will be refunded only if the vehicle is returned on time in an undamaged, clean condition, and with a full tank of fuel. Experience a true motorhome holiday and discover more of Australia’s fantastic landscapes by staying overnight in campgrounds. We can advise the best areas to find and book campgrounds suited to you, or we can help you choose hotels if you prefer. Your motorhome holiday is tailor-made for you, so give us a call and we’d be happy to help. Booking any big attractions or destinations you’re hoping to visit in advance is a great way to ensure you avoid disappointment, and create a motorhome itinerary that visits everything on your bucket list. It’s especially recommended to book ahead for annual holidays, including Christmas and Easter.